There are so many options to consider in chartering a boat from Turkey or even Greece. But it’s not just about the boat. There are also numerous ways to explore the Eastern Mediterranean by combining other types of activities with your sailing holidays. Sure! There is plenty. Take for instance added choices such as yoga, biking, diving, and many other water sports and land excursions – integrating it all to make up a totally fulfilling holiday at sea. Whether for one or two weeks or even longer; you can really get the most out of your luxury boat holidays with the right ideas, planning, and organization. It all really depends on what interests you. That’s the primary benefit with private boat charters. The combinations are many. All you need to do is establish your holiday budget, your group count (even an estimate range helps), figure out the things you want to do, see and enjoy; then book early to save! While you are waiting for the special date to arrive, you can ask your agent plenty of other questions in the meantime. It’s really quite easy once you set your heart on a Turkish boat charter vacation. Maybe you’ve been to Southern Turkey on a gulet charter before and seen a region or two, and maybe it’s time to think about exploring another region, or perhaps adding a few Greek Islands into your itinerary this time around. 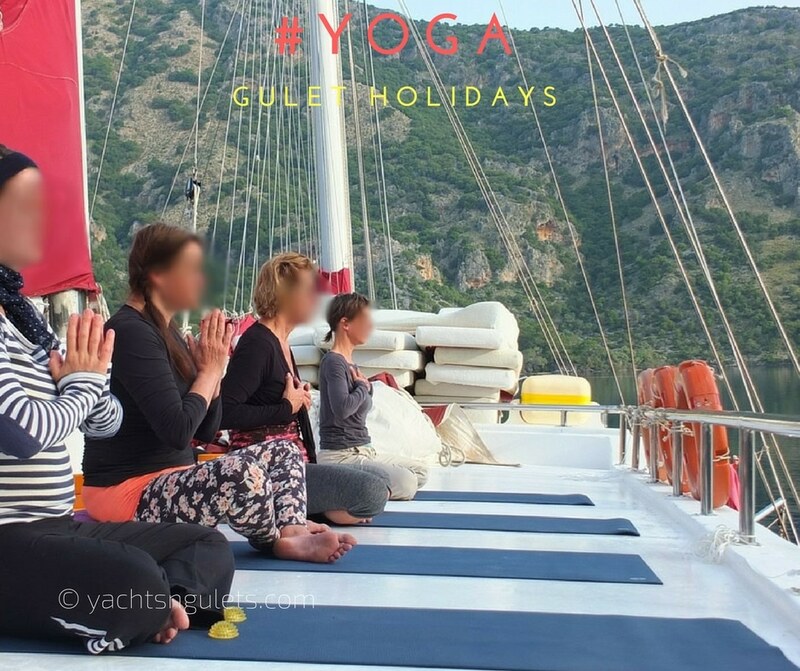 Some of the most popular additions to private boat charters in Southern Turkey have been Yoga. The ideal times are during the off-peak season – mid-April, May, the first half of June, the second half of September and definitely October. The charter rates are really low, the weather is excellent as is the water temperature, and you have more to choose from in boats. Since it is a private charter, yoga can be planned and organized every day, or a few days. It’s up to you! 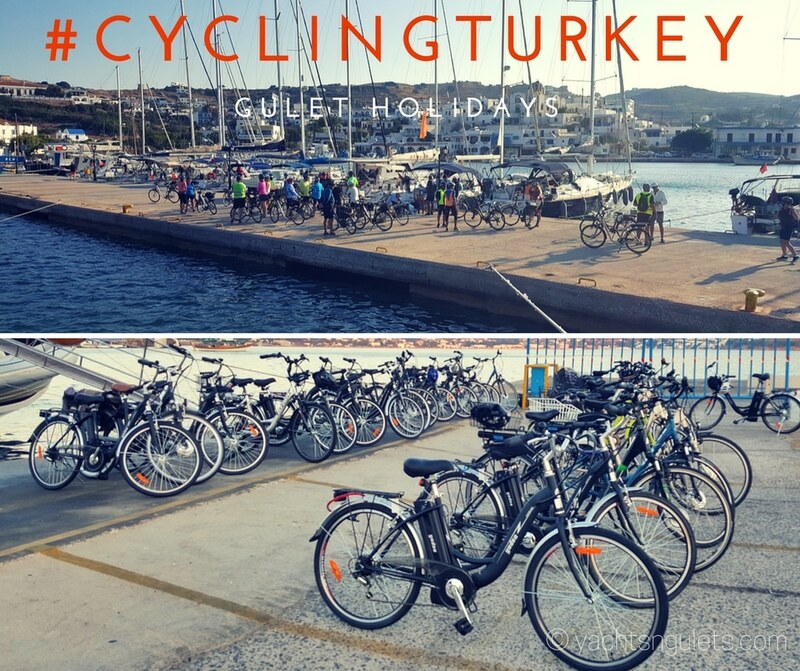 Biking has also gone well with gulet trips. Again, like yoga, you can do a whole week of riding (we suggest not more than 5 to enjoy the sailing part too), during the same months, and reap the same benefits in climate, prices, and selection. Diving is a wonderful experience in the Eastern Med. From the Gulf of Hisaronu to the turquoise waters of the Kas / Kalkan region, there are numerous excellent diving spots to discover with the diving professionals. Equipment is available as are certifications. So you can do all that there is on a normal gulet holiday and spice it up with diving too! Great fun for families and friends! There are great Turkish boat charter ideas to think about for 2015. What kind of gulet boat holiday would you plan for your next vacation?